Vincent Van Gogh's life was short and turbulent. 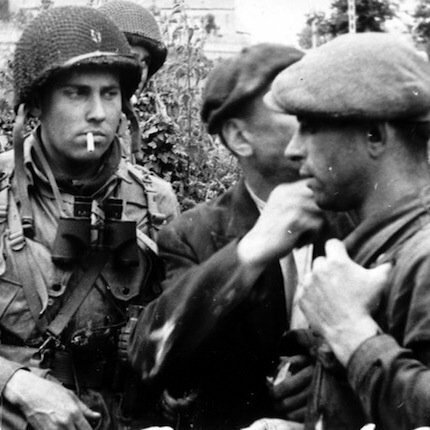 He didn't even pick up a paint brush until he was twenty-eight years old. By thirty-six he was dead by his own hand. In between he produced some of the most famous artwork ever created. Van Gogh lived in Paris for two years, from 1886 to 1888, and it's here that his work transformed into the familiar style that is now iconic. He was introduced to the work of the Impressionists and their ilk, and met some of the painters working in Paris at that time. 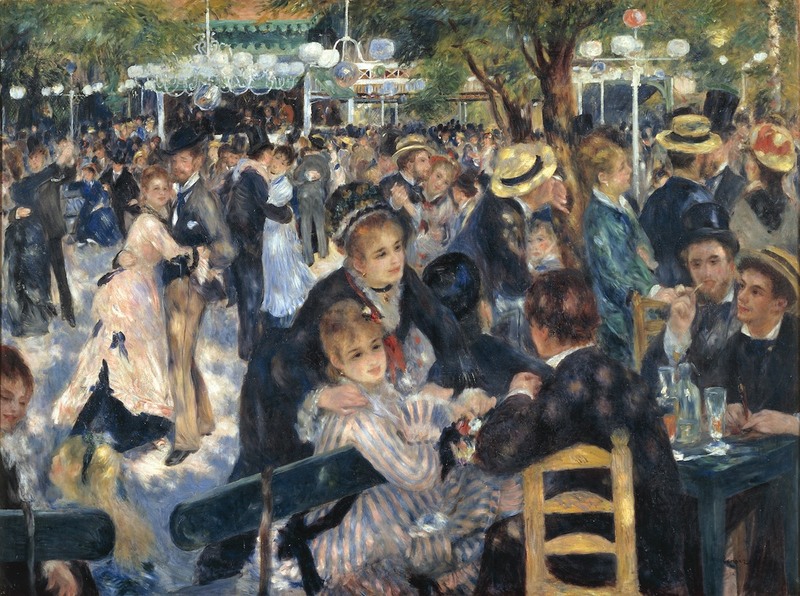 His Paris paintings created a time capsule of life in the City of Art at the end of the 19th century. Let's take a look at where and what he painted. 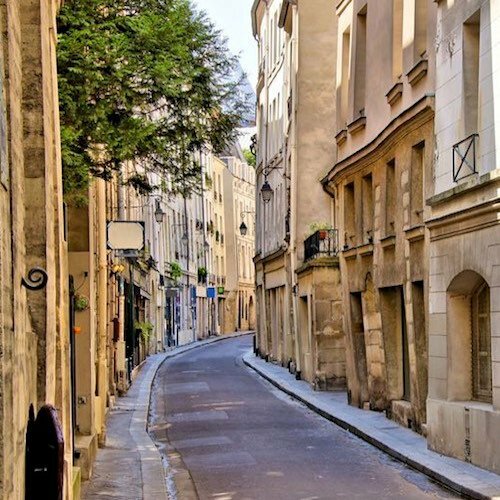 When Van Gogh moved to Paris he lived with his brother, Theo, at 54 Rue Lepic in Montmartre. 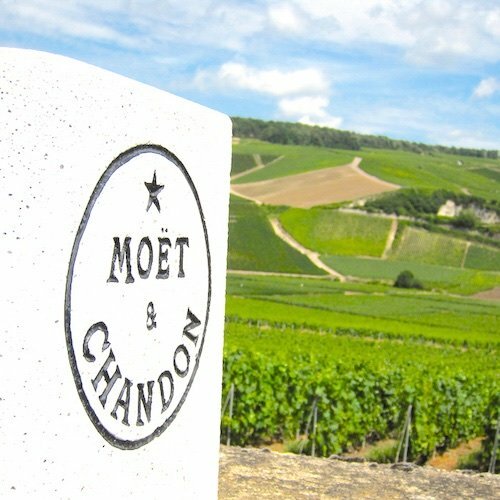 Naturally a lot of his Paris paintings are of scenes from this district. 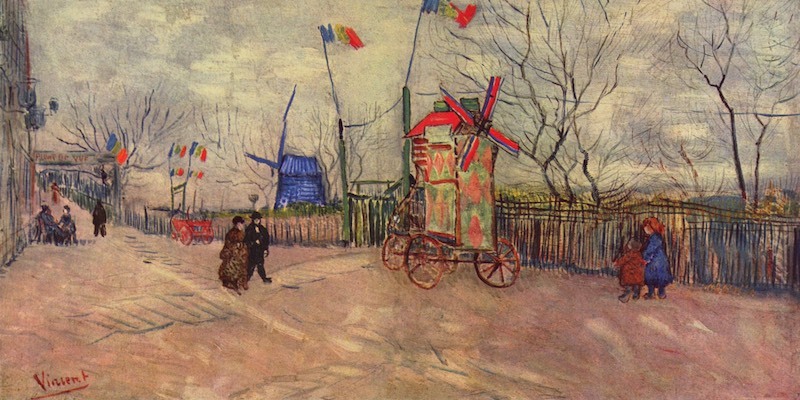 At that time Montmartre was still a rural hilltop village, in among fields and windmills, so it makes sense that those appear in Van Gogh's work. 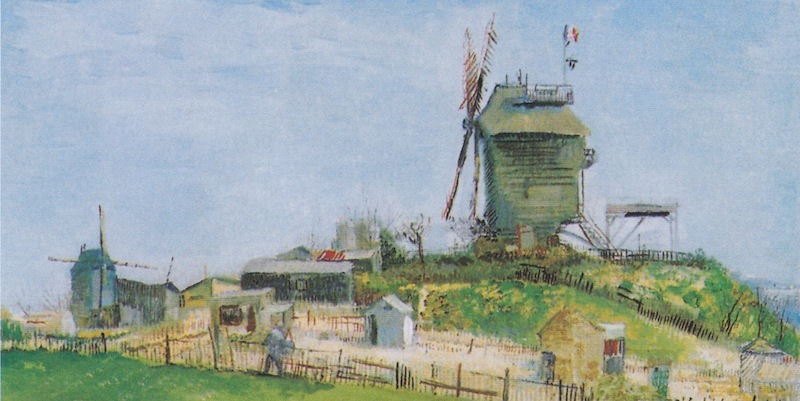 In particular, he painted numerous Montmartre village-scapes that feature the windmill known as Le Moulin de la Galette. 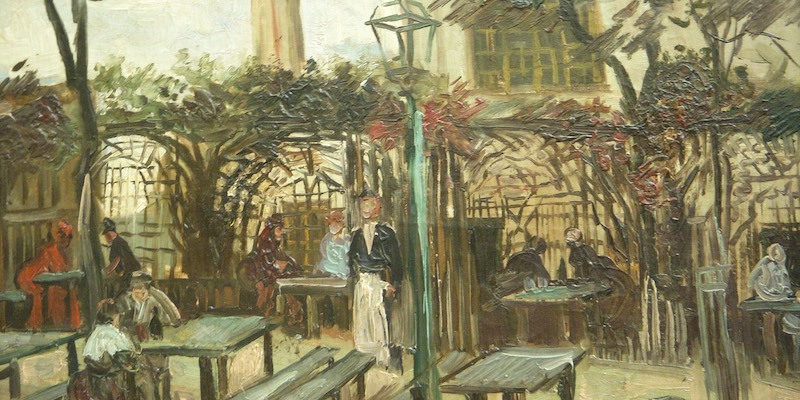 By the time Van Gough arrived in Paris, the 17th-century Moulin de la Galette was more than just a flour mill. 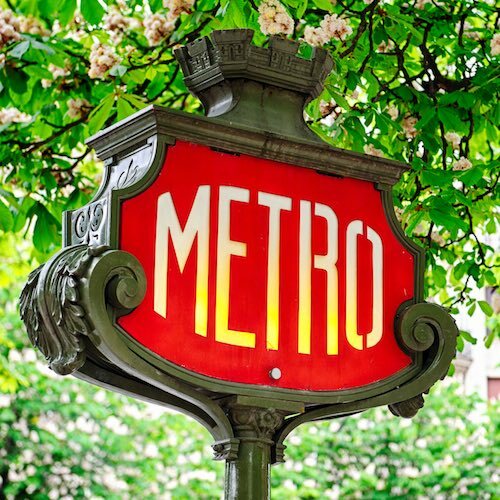 It had become famous for the brown bread (called galette) made by the mill's owners and had developed into a hang-out and night spot where locals could take a glass of wine or two with the bread. It was a place various artists painted and spent an evening — the most famous being Renoir with his painting, Bal du Moulin de la Galette. 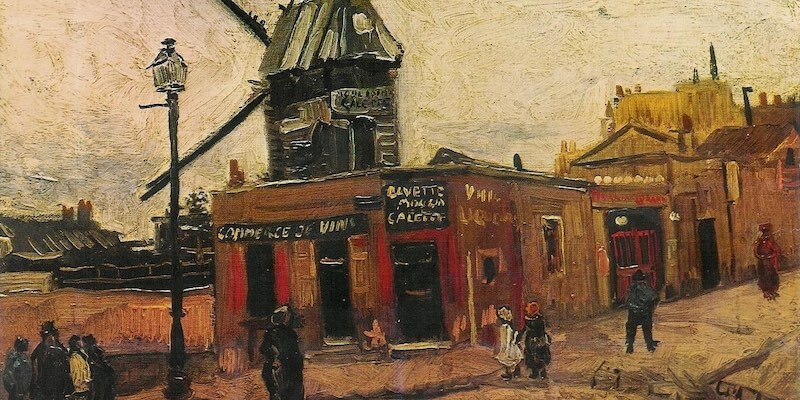 Already, in those two paintings of Moulin de la Galette, you can notice Van Gogh's style moving away from the dark, somber tones of the Dutch Old Masters who first influenced him, toward a light style with brighter colors, which was more typical of the Impressionists and their followers. While living in Paris Van Gogh was most attracted to the rural scenes around Montmartre, but he also painted scenes of village life. In some of these paintings the influence of the French painters is even more evident, not just in the colors and brightness, but in the brush work, with the thicker dabs of paint reminiscent of Claude Monet's style, as in Terrace of a Cafe on Montmartre above. In 1887 Van Gogh left his brother's apartment to move to the northwestern suburb of Asnières. (Much to Theo's relief.) 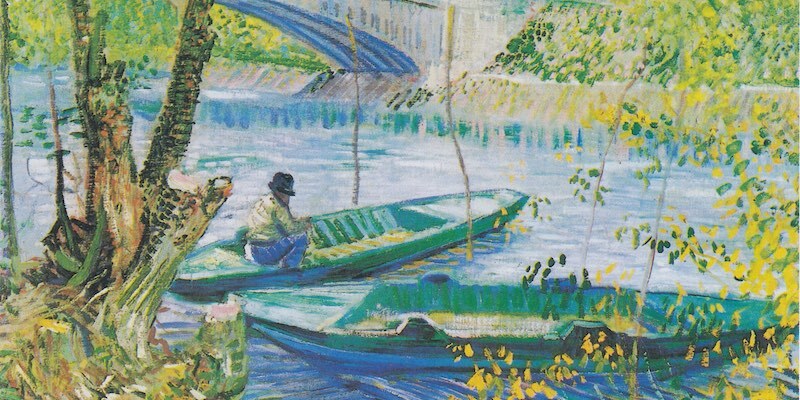 The paintings Vincent made there, along the Seine, show even more influence of contemporary French painters, as evidence in Angler and Boat with the Pont de Clichy. Van Gogh's time in Paris was short, but so was his life and period of artistic output. It was only in the mid-1880s that he seriously started to paint. He moved to Paris in 1886, left in 1888, and two years later was dead after shooting himself in the stomach. 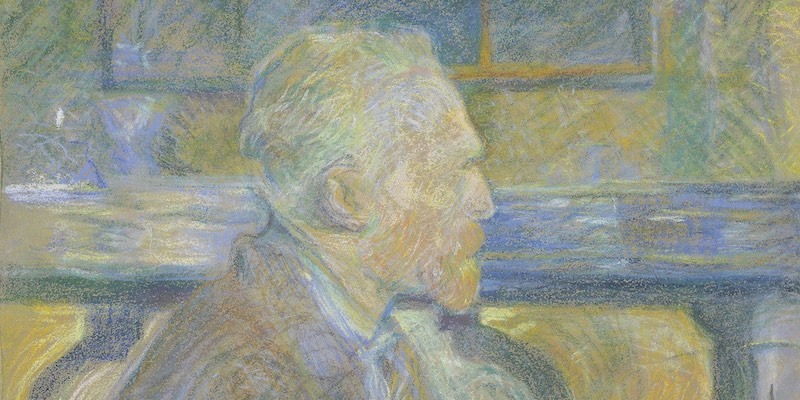 Not many of Vincent's artistic friendships lasted for very long (he and Gauguin parted ways after an incident involving a razor), but one thing that does survive from his Paris period is a nice pastel of Van Gogh by Henri Toulouse-Lautrec (detail show above).